Amid intense rivalry in the grocery business, Aldi Nord says it wants to put apartments above some of its supermarkets in Berlin. There is a lot of demand for residential real estate in the German capital, owing to high immigration rates and a lack of new homes. Plans call for installing 2,000 flats atop a total of 30 Aldi Nord stores. Hotel developer MQ Real Estate is building what it claims will be the world’s first modular hotel atop a shopping centre. Its prefabricated hotel will replace a rooftop parking area at ECE’s Ring-Center 2 shopping centre, in Berlin. The energy-efficient Niu hotel, operated by Novum Hospitality, will offer 151 rooms. “We are the first team in the world that consistently specialises in the modular extension of existing buildings, mainly on parking garages,” said Nikolai Jäger, founder of MQ Real Estate. IKEA is venturing further into cities. Long reliant on huge parcels of land in suburban locations, the Scandinavian furniture giant is tinkering with smaller formats that are squeezable into dense urban street grids. Jesper Brodin, an IKEA veteran who became CEO in September, says his top priority is to test more store formats in towns. This year IKEA opened a kitchen showroom in Stockholm and a bedroom store in Madrid. Brodin says the company will test similarly edited merchandise selections in future city-centre stores. McArthurGlen Group is developing a designer outlet in Cannock, 30 minutes from Birmingham, UK. McArthurGlen Designer Outlet Cannock, featuring 26,500 square metres of gross leasable area built in two phases, is a £160 million joint venture with U+I, Rioja Developments Limited, Aviva Investors and the Richardson family. The opening is planned for 2020. 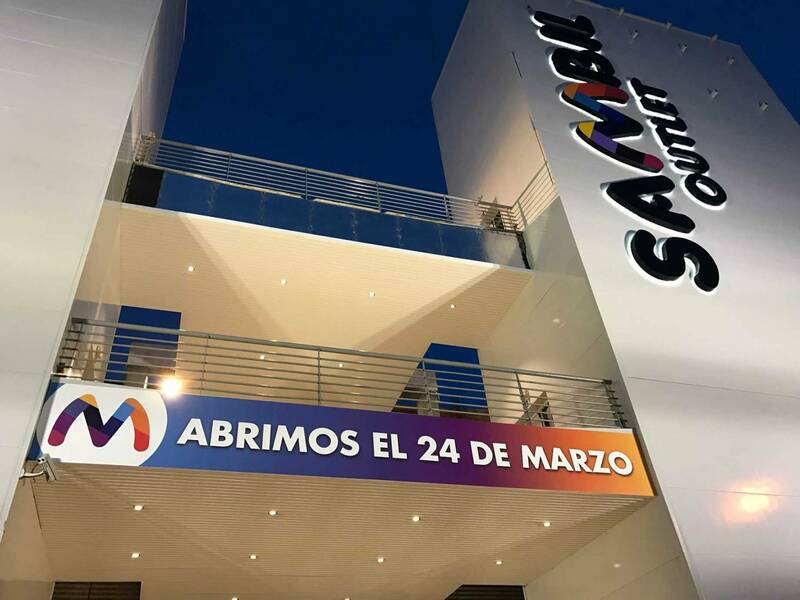 Spain's mall industry fortunes continue to rise, with five new large retail centres opening in 2017, for an aggregate 206,000 new square metres of gross leasable area, and 17 more that are on the way will add 1 million square metres, according to the Asociación Española de Centros Comerciales, Spain's mall trade group. On top of this, there was a 3 per cent rise in sales at shopping centres and a 1 per cent increase in shopper traffic. The malls that opened are: Alisios, in Las Palmas; Parque Melilla (Melilla); Terrasa Plaça, in Barcelona; and Plaza Río 2 y Sambil Outlet, in Madrid. Outlet developer Neinver recorded some €917 million in sales last year, a 5 per cent like-for-like increase versus the previous year. The landlord welcomed about 41.7 million visitors across its portfolio of 15 outlet centres in Spain, Poland, France, Germany and Italy. Average spend increased by 5 per cent over the past 12 months. “Shopping tourism has become key in our strategy as we expand our network of outlets in strategic European tourist enclaves,” said Carlos González, Neinver’s managing director. Neinver has an active pipeline of some 74,000 square metres of new outlet space in major catchment and tourist locations. Intu Properties said profits grew by 20 per cent even as rental growth slowed for the year to December 2017 — thanks to the increased value of some of its properties. The landlord said like-for-like net rental income increased by 0.5 per cent, versus a 3.6 per cent rise the previous year. Intu says sales from retailers in its centres declined by 2 per cent over the year. Japanese apparel chain Uniqlo will open its first Dutch store, in Amsterdam, in the autumn. Located on the Kalverstraat retail street, this three-level, 2,040-square-metre store was previously occupied by Forever 21. Axiom, which claims to be the biggest out-of-town shopping centre to be granted planning permission in the UK in almost 20 years, will include a 10,000-seat stadium for the Castleford Tigers rugby club and roughly 56,000 square metres of retail space leased to the likes of Marks & Spencer, Next and Primark. The centre is being built by Lateral Property Group near Castleford, with an opening date scheduled for 2021.